You are a mind reader, born with an extraordinary ability to understand what others think, feel, believe, want, and know. It's a sixth sense you use every day, in every personal and professional relationship you have. At its best, this ability allows you to achieve the most important goal in almost any life: connecting, deeply and intimately and honestly, to other human beings. At its worst, it is a source of misunderstanding and unnecessary conflict, leading to damaged relationships and broken dreams. How good are you at knowing the minds of others? 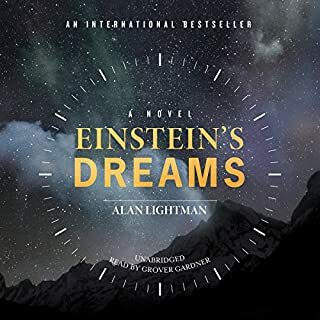 A modern classic, Einstein's Dreams is a fictional collage of stories dreamed by Albert Einstein in 1905, when he worked in a patent office in Switzerland. As the defiant but sensitive young genius is creating his theory of relativity, a new conception of time, he imagines many possible worlds. In one, time is circular, and people are fated to repeat their triumphs and failures over and over. In another, there is a place where time stands still, visited by lovers and parents clinging to their children. Congratulations! You're the proud owner of the most complex information processing device in the known universe. The human brain comes equipped with all sorts of useful design features, but also many bugs and weaknesses. Problem is you don't get an owner's manual. You have to just plug and play. As a result, most of us never properly understand how our brains work and what they're truly capable of. We fail get the best out of them, ignore some of their most useful features and struggle to overcome their design faults. 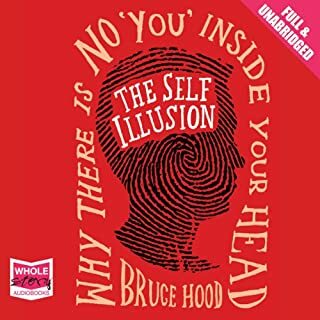 The Self Illusion provides a fascinating examination of how the latest science shows that our individual concept of a self is in fact an illusion. Most of us believe that we possess a self - an internal individual who resides inside our bodies, making decisions, authoring actions and possessing free will. The feeling that a single, unified, enduring self inhabits the body is compelling and inescapable. But that sovereignty of the self is increasingly under threat from science as our understanding of the brain advances. Well written, well read! I enjoyed disagreeing. In this astounding book, David Eagleman entertains 40 fictional possibilities of life beyond death. With wit and humanity he asks the key questions about existence, hope, technology and love. 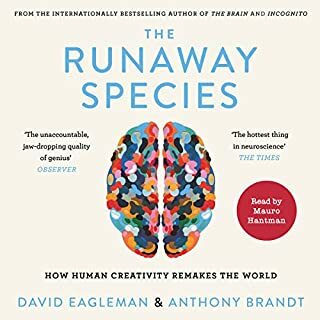 These stories are full of big ideas and bold imagination.This audiobook assembles a stellar cast of readers who bring the scenarios of SUM brilliantly alive: Gillian Anderson, Emily Blunt, Nick Cave, Jarvis Cocker, Jack Davenport, Lisa Dwan, David Eagleman, Noel Fielding, Kerry Fox, Stephen Fry, Clarke Peters, Lemn Sissay and Harriet Walter. 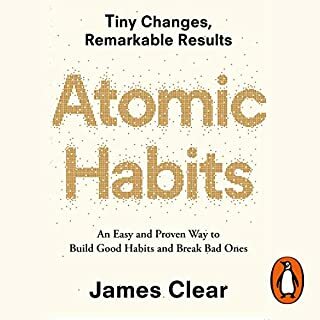 If you have things to do before the end of this year - downloading this book MUST be one of them. From the get go you know you are onto a winner - no matter what genre of book you prefer to read.. make this one for your collection. It is without a doubt simply brilliant. 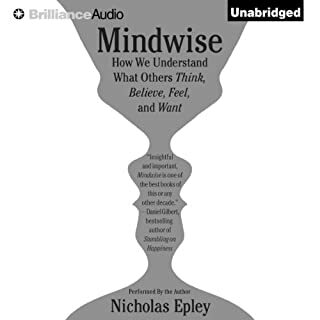 ps I don't normally give reviews believing that people should be able to make up their own minds and would hate to rate something either good or bad as someone else may very well have a different view - BUT all that said, do yourself a good deed and get this book. This is one of the few occasions where I can use the word awesome and really mean it. Here are forty tales describing a possible afterlife and each one is a piece of perfection. This is impossible to take in in one sitting but this is great because I can't wait to listen to it all over again. I absolutely love this! I have read this as well as listened to it three times. I love how easily digestible it is with most of the stories only lasting 2 or 3 minutes. However in that 2 or 3 minutes the most profound message can be communicated. Some have stayed with me more than others but I love them all. 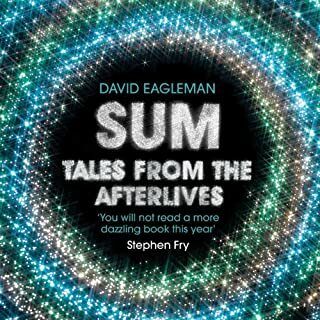 What an amazing mind David Eagleman has, I am envious of his talent and how he managed to create all these different Worlds and give them such life in the short space of time that each story lasts. Also with the all-star cast of narrators you will not be disappointed, I could not complain about any of them as they are brilliant. A fantastic and thought provoking series of musings on potential versions of the Afterlife. Not to be taken as fact, but as a starting point for your own thoughts. What did you like most about Sum: Tales from the Afterlives? The diversity of each of the stories is incredible. The most imaginative collection of flash fiction I've ever read. The array of narrators only adds to the diversity of the book. Each performance is as good as the last. Although, speaking of last, the final story was ever so slightly marred by the style in which Gilian Anderson chooses to narrate, she seemed to needlessly read it frustratingly slow. 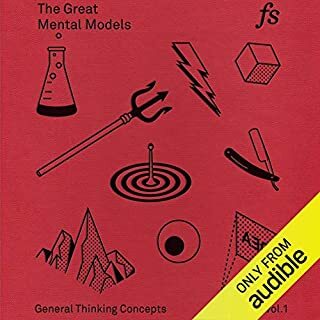 I must've listened to this book, in one sitting, over two dozen times. And will continue to do so. 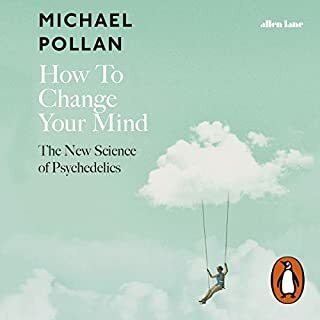 Even after all these sessions with this book it still seems just as fresh as the first time I heard it. The imagination behind each and every story is second to none, in my opinion. And to accumulate forty such stories blows my mind. An absolute gem of a book. Top marks! loved it. i have listened to it in car or walking...also while going to sleep but not because it boring. 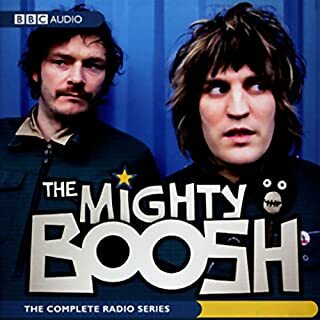 its brilliantly engaging and gently thought provoking with humour moments and stops me thinking about work. i wake and listen to rest in morning while getting ready for work. ive listened to the stories several times. There are 39 stories but all very different. the readers are all great and complement each other. The all-star narrator line-up notwithstanding, I love this book and its varied takes on what might happen after we die. Spanning religious, spiritual, natural and atheist doctrine whilst managing to remain unpatronising and often amusing, these vignettes are a must for anyone who suffers the occasional existential crisis. 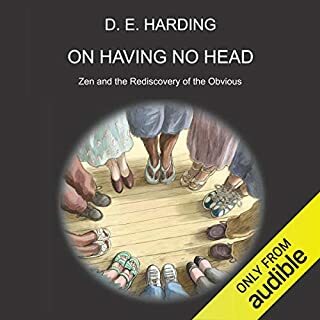 Having both read and listened to this book, I find that I prefer the audio version for the lovely range and variation of narration, although I'll admit that I love them both. very interesting way of looking at things and an alternative way of thinking about afterlives. Loved the different narrators and how each story highlighted something, some insight to be taken about this life. Excellent book, bursting with ideas. The stories are short but each one conveys an insight into the human condition. 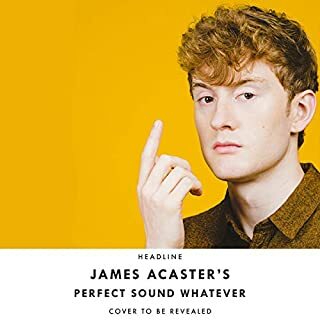 Everything about this audiobook is great. 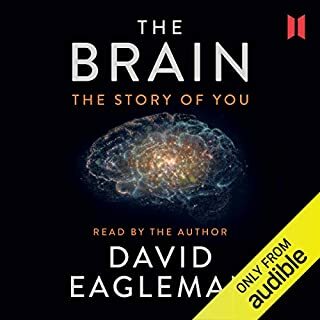 As a collection of stories Sum is unique and benefits from being written by a fiction virgin in neuroscientist David Eagleman. 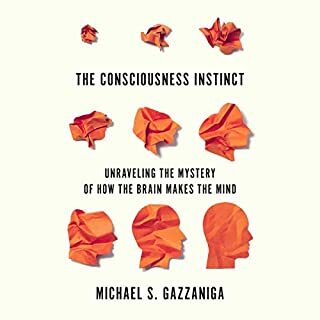 His work on the brain and personal responsibility, among other topics, has made him one of the most fascinating young non-fiction writers in the world. But such are his annoyingly numerous talents that he is able to produce a series of speculative shorts on the theme of the afterlife that is both artfully written and intellectually playful.The stories follow no particular stylistic or narrative tradition, which makes them free to be open-ended, thought-provoking, metaphysical aperitifs, if I can be so prolix. Some of the scenarios dreamed up in this work will stay with you and for those who are worried, it's not overtly religious or even theistic at all really. It's kind of an agnostic's meditation on what the afterlife could be like and what we mean when we say "afterlife". I'm not at all religious and although I don't think any of the scenarios are literally possible, they are intellectually possible, inasmuch as they are primers for thinking about mortality, consciousness, time, religion, parallel universes, eternity, etc. The cast of multiple narrators worked very well and they are all great readers, particularly the always lovely and eloquent Stephen Fry, the lachrymose Nick Cave and the sportive Emily Blunt. Eagleman himself even displays his skills as a reader on this recording ??? even more reason to resent this multitalented upstart. 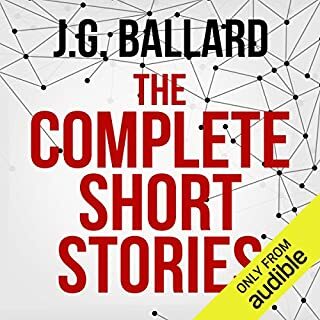 Highly recommended as a fresh approach to short fiction, which works particularly well in the audiobook medium. I loved the way this book makes you create images in your head about possible scenarios of afterlife. 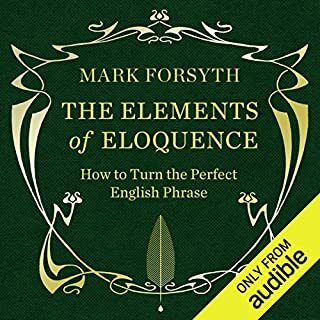 There a few original stories making this audiobook worth listening to, but the book gets increasingly repetitive somewhere in the middle, as if the author started running out of ideas. Some nice ideas on what an afterlife actually constitutes. I like that it's spoken by different people, I guess the ones who actually wrote the parts. They're mostly quirky and funny and have obvious hidden messages that hint at how one should look at their current life. Somewhere halfway through the book, they start to resemble each other a bit, though, in the way they are constructed. What a profound rollercoaster to question Who you thought you were, he saved the best for last! A fantastic collection of musings about the afterlife. Can't recommend enough, I challenge any thoughtful human being to to be intrigued and delighted with this book. Hard to say - people with more of a taste for fantasy, maybe. 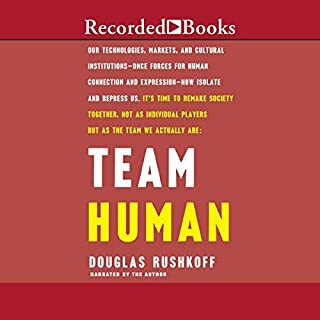 What could David Eagleman have done to make this a more enjoyable book for you? Far fewer pieces, with each one much more thoroughly worked out. Not for me - I found it thoroughly dull. I think this was a misconceived project of Eagleman's. He lacks, in my opinion, the imaginative vision to make it work. If he had chosen a just a few of his possible scenarios of the afterlife, and worked them out at the length of a long short story, or a novella, they might have worked although I don't think Eagleman's prose style is up to it - it's too laden with adjectives and adverbs. As it is, they are just snippets of ideas. For example, the last piece, the 'reverse life' idea from death to birth has been worked by several writers I can think of, and much more stylishly. Not one of these episodes really gripped my interest, and I skipped several of them, I'm sorry to say. If, before I actually read this book, someone said to me that I was going to read a collection of novels about the afterlife, and that I would like it, I would have laughed. I don’t believe God exists and I don’t believe in an afterlife (at least not the afterlife people usually have in mind). Moreover, I generally don’t read novels. I read books because I want to learn something about the universe, not merely for pleasure. So why did I read this book? 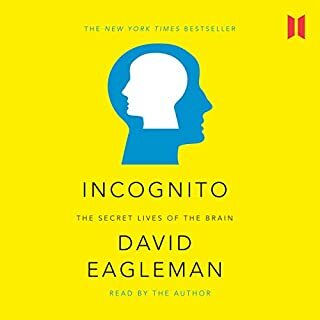 Well, it was short, and more importantly, it was written by David Eagleman, the neuroscientist who wrote Incognito, which, in my opinion is one of the best popular neuroscience books I have read. Because I had read Incognito I also knew that Eagleman does not have a tendency to express strange beliefs. Rather, like myself, Eagleman at least appears to subscribe to philosophical materialism, i.e. he is not a dualist. In addition, Sum, has received rave reviews, so in the end I thought what the heck, I’ll give it a try… and I am very happy that I did. The ambition of this book is not to provide an accurate scientific account of the likely scenarios that will take place when we eventually die, rather it is a collection of entirely hypothetical stories about what could happen in the afterlife. Some of them appear more likely than others, but almost all of them are in some way entertaining and above all, they are very thought provoking. Indeed I might even go as far as to say that it has made me consider the thought of an afterlife. Again I don’t mean the kind of afterlife where the soul escapes the body and travels to a bright peaceful heaven (and I guess that I would more likely end up in hell anyway), but some other form of afterlife. For example, in one novel in this book, you live on in the sense that a computer terminal continues to produce letters from you, answer emails, send happy birthday wishes, to your kin and to others, long after you actually died. This type of afterlife is entirely possible and even with my limited skills I could probably make my own computer act as if I was alive when I am dead (whether one would want this is a different question). Another novel that is perhaps less plausible, but not as implausible as the biblical option, is that we actually live twice. The life that everyone live now is the first life which occurs when the universe is expanding. The second life comes when (or if), the universe contracts, causing time to go in the opposite direction. In your second life you are born out of the ground like an old man or woman and everyone will be crying and speaking about everything you are going to do in your life. The relationships in which you engage will often start with a fight and then gradually become more emotional and intense until it ends in an ecstatic sexual encounter, after which you will simply forget your partner and move on… I kind of doubt whether this will happen although according to some models of the universe a contraction phase is a possibility and since time is just a dimension of space it is not inconceivable that time will move in the opposite direction. In any case, just picturing your life in reverse is an interesting thought experiment. These are just two examples out of a total of 40 short novels describing different scenarios that play out when we die. Because they were short and thought provoking I rarely lost interest. 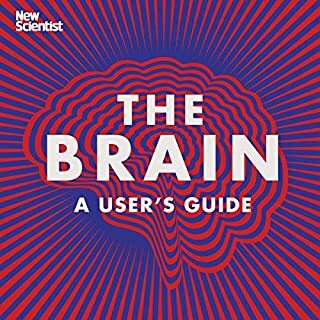 One of my favorite novels, in this collection, describes a future where you will be able to upload an exact replica of your brain onto a computer. This computer can then run any simulation you choose. Want to live like James Bond, with fast cars, and beautiful women, and frequent near death experiences? Not a problem. You will be able to live in this matrix for as long as the computer will run. Although in this particular scenario, the scientists were wrong about the soul (they just assumed that it would tag along, but it didn’t). In short, this is a collection of fantastic, imaginative novels, that will make you giggle and make you think.